What will life jackets look like in 10, 20 or 100 years? 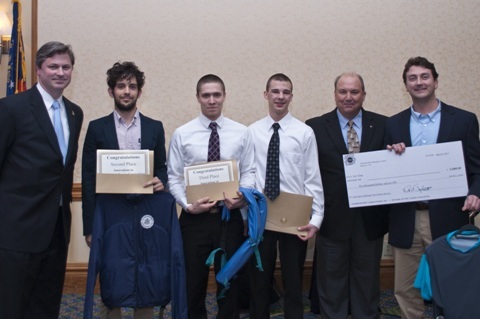 This week, the BoatUS Foundation and Underwriter's Laboratory announced the winners of their 2011 "Innovation in Life Jacket Design Competition". Bulky, cork-filled life jackets from 100 years ago are a thing of the past. But what will the life jackets of the future look like or be made of? This contest aimed to find out. The top three designs, one of which was submitted by a high school team from Milwaukee, each contain an improvement on the functionality or style of traditional life jackets. The first place winner was the “Sea-Tee”, a standard rash-guard shirt that many water sports enthusiasts are used to wearing – but with a twist. It has a built-in inflatable bladder similar to most inflatable life jackets. 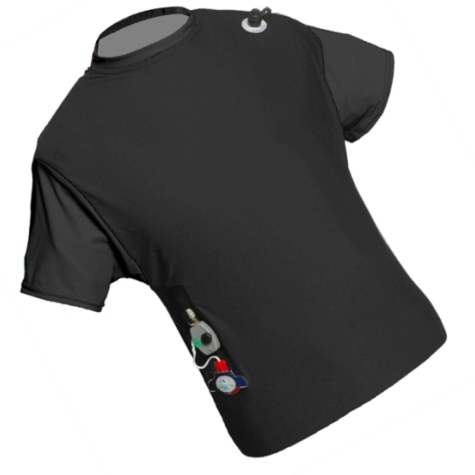 Sea-Tee inventor Jeff Betz stated, "With the Sea-Tee you can wear essentially the same shirt you’re used to wearing on the water, and have the back-up of a buoyancy aid in case of an emergency." 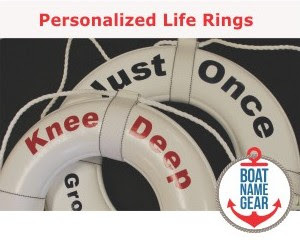 The Sea-Tee design was submitted by Troy, NY based Float-Tech Inc., which already has boating safety products on the market, including life jackets. The Sea-Tee also has its own website. Pictured L to R: BoatUS Foundation President Chris Edmonston; Sebastian Pardo, The Directors Bureau; Josh Jankowski and Nathan Carabon, St. Thomas More High School; Bill Taylor, Underwriters Laboratories; Jeff Betz, Float-Tech Inc. The full press release about the contest includes information about the other winners (pictured above, courtesy BoatUS), the prizes they won, and videos of all of the winning life jackets. Congratulations from the Daily Boater to all the winners! And thanks to the BoatUS Foundation and Underwriter's Laboratory for putting life jackets in the spotlight. This contest gives us an opportunity to remind you that life jackets save lives, so we're pleased to see a platform that may lead to life jackets that are easier (or more stylish) to wear. 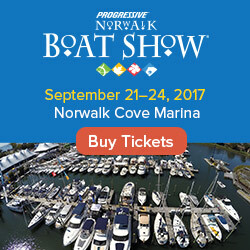 Can I Get Directions to the Boat Show? Have Sailors Always Known the World is Round?